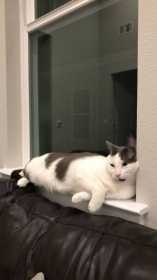 Walter is a grey and white American shorthair cat - 5 years old with a distinct grey spot on his chin. He’s neutered and microchipped! Last seen in the evening on 1/15. Please contact! $500 REWARD!